An app that rewards carpoolers living or working on the Peninsula is set to be introduced in San Mateo County Thursday. Pete Suratos reports. An app that rewards carpoolers living or working on the Peninsula is set to be introduced Thursday. People utilizing the so-called "Carpool 2.0" program could be eligible for incentives in the form of e-gift cards. 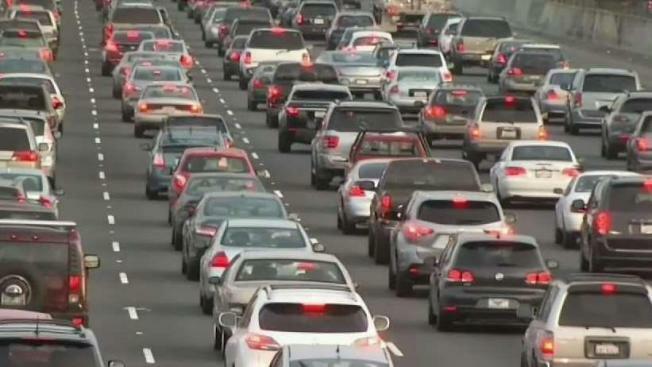 San Mateo County will track carpoolers through its Star Commute Tracker App, which is where people can punch in information regarding the number of carpool rides they're taking in to or out of the county. In return, commuters can receive up to $100 in e-gift card rewards depending on the number of rides. The goal behind the program is to reduce traffic congestion, emissions and the need for parking in the county.